Since the pseudo-retirement of Dr. Barton in 2003, EKU has had a series of four program directors; Alice Wilcoxson (2000-04), Dr. Joseph Beckett (2004-2008), Dr. Eric Fuchs (2008-2016) and Dr. Matthew Sabin (2016-present). During their tenures, EKU has maintained its accreditation status with CAAHEP and the Commission on Accreditation of Athletic Training Education (CAATE). Other athletic training programs began to sprout up across the state with five programs having undergraduate athletic training programs by 2013. In 2014, Dr. In 1976, Dr. Robert Barton was hired to replace the vacancy created by Mr. Murray’s transition to another institution. 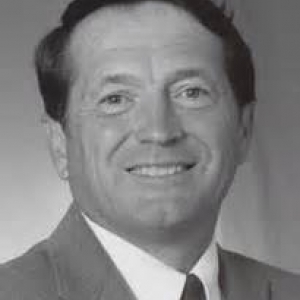 Robert “Bobby” Barton received his undergraduate degree from the University of Kentucky in 1968 where he served as an athletic training student. He continued his education with a master’s degree from Marshall University and a doctoral degree from Middle Tennessee State University in 1975. 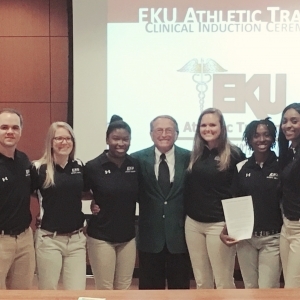 In the previous “Inside Story: From Graduate to Full-Time Athletic Trainers”, the start of a specific athletic training curriculum at Eastern Kentucky University (EKU) was mentioned. To understand the development of this curriculum at EKU, it is important to understand athletic training education and accreditation from the national perspective. At this point, athletic training at EKU began to develop quickly. The University of Kentucky and other SEC schools had already established full-time athletic training positions. And though it wasn’t common practice in the OVC, Murray State led the charge by hiring the first full-time AT in the conference. It was time for EKU to make that same step and so, a position was posted leading to EKU’s first full-time athletic trainer, David Huffstettler. The EKU Athletic Training Program offers the Bobby Barton Scholarship and the Mary Lloyd Ireland Scholarship annually to students specifically enrolled in the Athletic Training Program. This year was the first year that the Bobby Barton Scholarship was able to be awarded. Dr. Barton worked as the head athletic trainer and program director at EKU from 1976-2003. 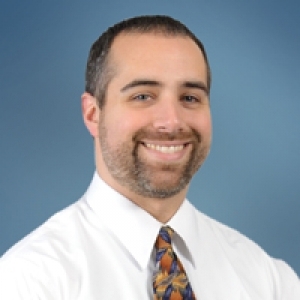 He has committed much of his professional career to professional service and leadership. Recipients of this award are judged on service, leadership, scholarship and financial need. The use of undergraduate students as athletic trainers wouldn’t last forever. The National Athletic Trainers’ Association was formed in 1950 and with that momentous step the profession began to grow and develop. As the profession developed and full-time athletic trainers became more prominent in higher level settings, such as professional and universities in the SEC, athletic training at EKU evolved as well. Though Eastern Kentucky State College (later to become EKU) was not ready to hire a full-time AT, the foundation for hiring a graduate student with experience was laid. Technology Aids EKU AT Faculty in Presenting Internationally from the Comfort of "Home"
On Friday May 25, 2018, Aaron Sciascia, Assistant Professor for Eastern Kentucky University’s Athletic Training Program, presented two invited lectures to approximately 55 physiotherapists from New Zealand without leaving Richmond, KY. Dr. Sciascia presented Scapular Muscle Activation: Function and Dysfunction as well as Kinetic Chain-Based Shoulder Rehabilitation through the PhysioScholar web platform. When asked about how the web-based session materialized, Dr.
Over the last year, I discovered a driving interest in understanding the heritage and history of athletic training at EKU. I have spent several hours searching University records, communicating with individuals with knowledge on the earlier years and matching dates as best I could. I have used sources connected to EKU, the NATA, the CAATE, and several personal interviews. 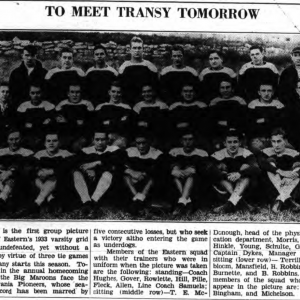 Over the next few weeks leading up to the Alumni Party at the NATA, I am going to release a series of stories regarding our history.